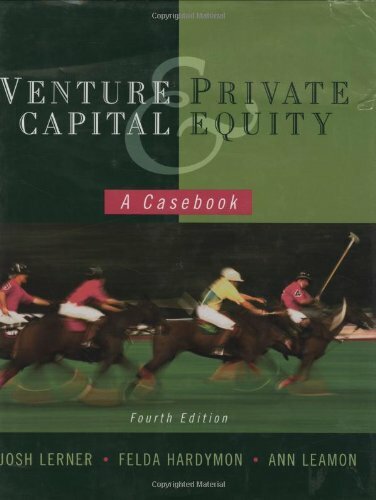 private equity investors exit their investments; and the last considers the future of the private equity industry. Josh Lerner is the Jacob H. Schiff Professor of Investment Banking at Harvard Business School, with a joint appointment in the Finance and the Entrepreneurial Management Units, and a research associate and codirector of the Productivity, Innovation, and Entrepreneurship Program at the NBER. Lion Capital and the Blackstone Group: The Orangina Deal. Warburg Pincus and emgs: The IPO Decision (A).